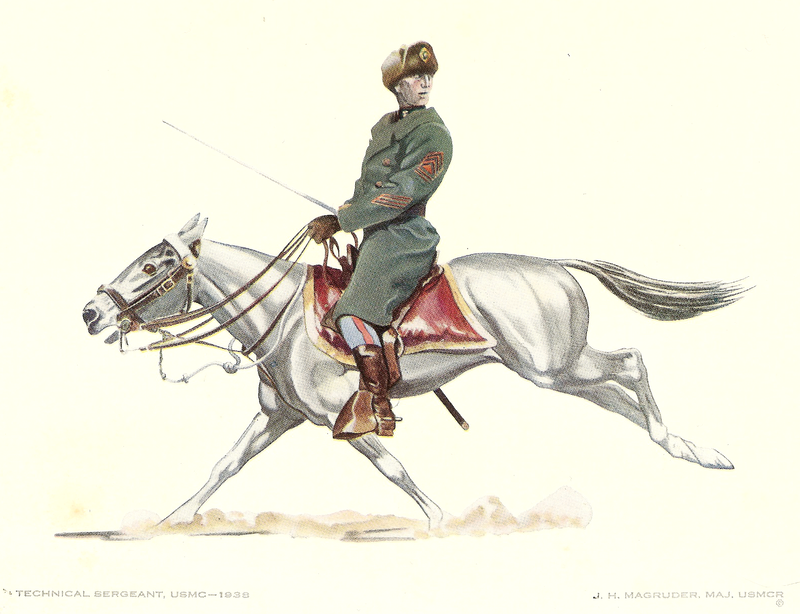 February 2014 – Fix Bayonets! 1. Verily I say unto all ye who wouldst fain operate the great bent wing bird from the tilting airdrome: for it doth require great technique, which cometh to no man naturally. Yea verily, it is acquired only by great diligence and perseverance, and great faith in the Father Almighty. 2. Hearken ye unto the Centurion: for he speaketh from vast wisdom and great knowledge. He hath experienced a vast number of cat shots and traps, and hence is a sadder and wiser man than thee. 3. Heed ye not those who speaketh of the romance and glamour of the high seas, be ye not swayed and when they extol the sting of the salt spray upon thy lips and the roll of a stout deck beneath thy feet and the exotic peoples of foreign lands. 4. Verily, it shall come to pass: that the salt spray windeth up in thy joe, and the roll of the stout deck wilt send thee to the fantail with a retching of thy belly. 5. He wouldst remove thee far from thy loved ones, and cast thee amonst the riff-raff of all nations: who shall then approach thee with an extended hand and open palm. 6. Turn thee a deaf ear unto all these things, for he speaketh as a man with a head full of missing buttons and his mouth quoteth from recruiting pamphlets. 7. Beware of the sadistic inhabitant in the land of Fly One, and regard him with exceeding wariness. For while he bringeth thee up to the spot, and his visage smileth confidently at thee, he concealeth a serpent in his breast, and plotteth all manner of evil against thee. 8. He smileth not for thee, but smirketh at thy youth and helplessness. He dines lustily upon the nugget and gloateth greatly at his power over thee. The manner of torment, which he inflicteth on thee, is great. 9. Heed ye his signals promptly, else he windeth thee up mightily and sendeth thee off whilst thou art still checking thy gauges or whilst the bow goeth down into the depths of a wave. For he is a man of great imagination and enjoyeth a jest mightily. His cunning knoweth no bounds. 10. Know ye well the officer called “landing signal,” and trust him not; for he is a doltish oaf and is poorly coordinated. Verily, whilst he also doth wear the wings of gold, he is a prodigal, and his judgments are untrue. 11. He has eyes with which to see, but they are weak; he distinguisheth day from night with exceeding difficulty. 12. Yea, he waveth off Angel Donald, saying, “Land ye not on a pass which is so long in the groove. 13. Make him thy friend. When ye doth engage in a game of chance, calleth not his two little pair with thy full house, for he prizes a winning hand above all things, and he will love thee. 14. Incite him not to anger, else he bringeth thee in low and slow, and spinneth thee into the spud locker. 15. Cursed be he who dost tarry long in the wires after his trap; he causeth his wingman to be waved off on a roger pass, and the next man to become long in the groove. 16. He fouleth up the pattern mightily, and given the Air Boss all manners of gastric disorders. 17. He is thrice damned, and all people, even unto the Yellow Shirts, shall revile him and use strong language in his behalf, for he is indeed a plumber and plague upon the Air Group. 18. Render unto Caesar that which is Caesar’s. As the two-finger turn-up is the signal to fly, so to is the cut the signal to land. 19. Therefore, I say unto you, holdeth yet not after the cut; for whosoever floateth into the barriers soweth great anguish in the breast of the Maintenance Officer and causeth a blue cloud to form at the bridge. 20. The wise pilot engageth a three wire smartly, but the fool shall dwell in the pattern forever. 21. Hell hath no fury like a Catapult Officer scorned. Therefore treat him with great kindness and speak ye unto him soft and tender tones. 23. Hearken unto his teachings, and heed his signals with great diligence; for he is a man of great and unnatural cunning. 24. He windeth thee up mightily, and faileth to fire when thou art ready. He then shooteth thee off when thou art not, and into the mouth of the deep. 25. Beware ye of the Old Man, and regard him highly, for unto thee he is not unlike the Almighty. When he approacheth, linger ye not in Flight Deck Control, for he falleth like a whirlwind upon the idle and laucheth upon JO’s without compassion. 26. He regardeth the newly made major with raised eyebrow. 27. Ye shall remain out of his sight, and let him not know thee by name: for whosoever shall arouse the ire of the Old Man shall go many times to the Chaplain. 28. Give ye heed unto all these things for they are the bitter fruits of those who hath proceeded thee, so shall your words be as blessings unto those who shalt follow thee, and the Carrier Pilot shall live forever and ever. Note: The foregoing was written by Captain Milton V. Seaman, USMC while serving aboard the USS Leyte (CV-32) while deployed to the Mediterranean Sea in 1949 with Marine Fighter Squadron (VMF) —223. It was dedicated to the squadron commander, Major Darrell D. (Slim) Irwin, USMC. I think it is absolutely true that most Marines “go home” after their service in the Corps, whether that is at the end of their first enlistment, or at some future intermediary period, or upon retirement. By “home,” I mean the environment that is most familiar and comfortable to them. This could mean back home with Mom and Dad, or it could be the hometown of the girl or guy they married. For some Marines, home becomes the area nearest their last duty station before retirement. Not all Marines go back home, though. Some Marines never really had a home. Rather than loving parents, they had a working mother who did the best she could for them; a woman who was relieved when their child finally found a place where they could excel. For many Marines, the Corps became their family —their home became a spotlessly clean barrack at any number of Marine Corps posts or stations. This has been true for a very long time —perhaps even for as long as we’ve had a United States Marine Corps. Colonel John Thomason wrote about some of these people in his book, Fix Bayonets (after which I named this blog). 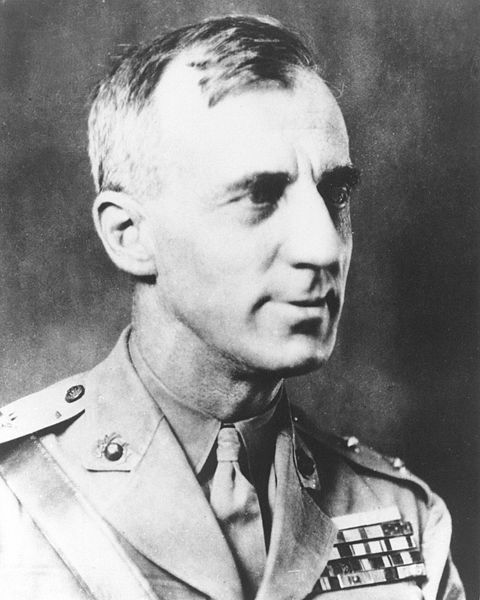 Thomason was born in Huntsville, Texas in 1893, joined the Marine Corps on 6 April 1917, and served until his death in March 1944 achieving the rank of lieutenant colonel. 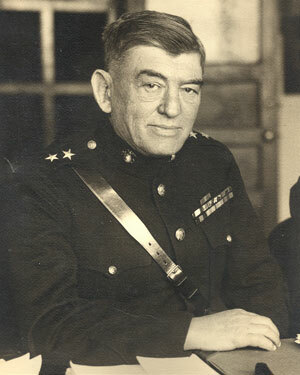 During World War I, Thomason served as the Executive Officer (second in command) of the 49th Company, 1st Battalion, 5th Marines. 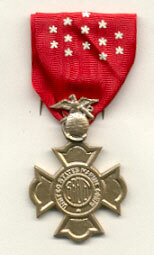 He was awarded the Navy Cross for his sustained courage and leadership throughout America’s participation in the war. Following the war, Thomason served in Cuba, Haiti, and Nicaragua, China and in California. 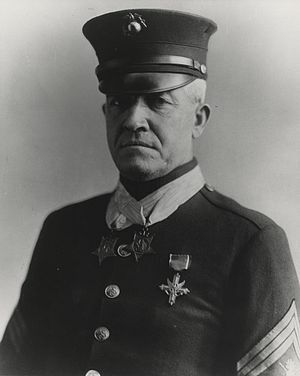 He commanded the Horse Marines at the American Legation in Peiping and later commanded the 38th Company, 4th Marines, the Marine Detachment aboard USS Rochester (CA-2), and the 2nd Battalion, 6th Marines. Before the outbreak of war with Japan, Thomason was assigned to the Office of Naval Intelligence. In 1942, he was assigned to Admiral Nimitz’ staff in Hawaii. Thomason tells of one Marine, who he refers to as Sergeant Bridoon of the Horse Marines at the American legation in Peiping. The sergeant was a fine leader of men who had become romantically attached to an American missionary woman. As he was nearing retirement, the Marine Corps decided to return Sergeant Bridoon to the United States where he would be processed for separation. The problem was that his fiancé, “Miss Jones” would not return to the States; she had important work to do in China. Bridoon would not leave her, and so on the eve of his retirement, Sergeant Bridoon deserted. 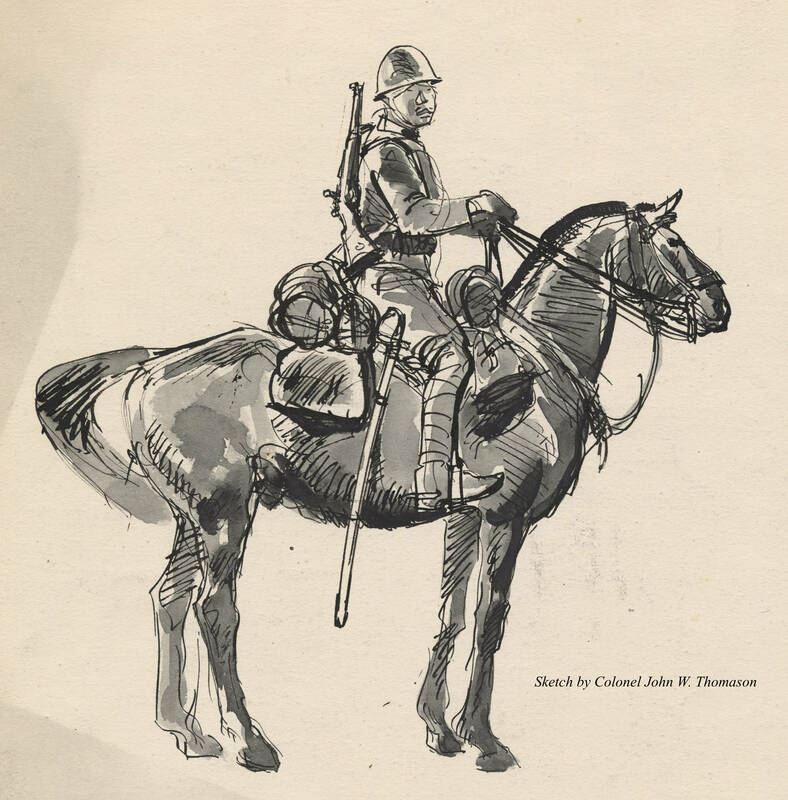 “Peering over a shoulder of our ridge, I saw an armored car burning, and saw some running horses. And there were revolver shots around me. I suspect what they were for, but I do not know —the headquarters group was not there any more. I remember an orderly carefully stowing teacups in a wicker basket, and I remember the brigadier drawing his samurai sword and plunging down the hill, two or three officers with him. I never saw the Japanese journalists again, or the Chinese. My Danish colleague was beside me, stretching his neck and sputtering, when something hit him; he sat down, folding his hands in front of his stomach, then stretched himself out on his back, dug at the ground with his heels, and died. 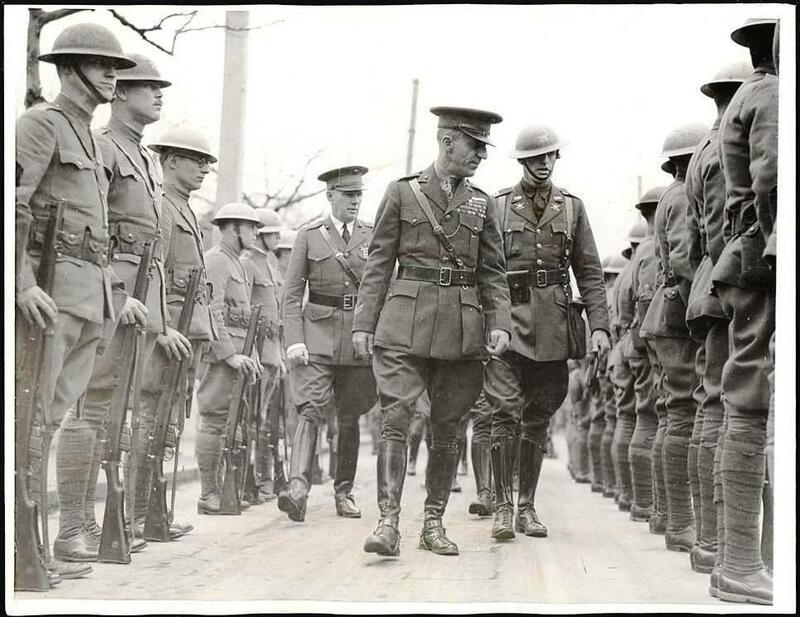 Colonel Thomason described how on the slope where once stood the field headquarters of a Japanese brigade there suddenly appeared strange looking men, some of them standing, others mounted on shaggy ponies —huge, inhuman looking people dressed in the round cloth caps of the Chinese armies, assorted patterns of steel helmets, fur caps, and a variety of uniform items. But they all had weapons and they seemed to know how to use them, and as a Mongolian soldier took Thomason captive and began to search his person, he wondered if his bones would ever see the burial ground at Arlington. Today, we continue to find our former comrades living in far off lands: Japan, on Okinawa, South Korea, Taiwan, the Philippines, and in Vietnam. Where do Marines go? They go to places where they can discover their own niche in a complex, often unforgiving world. Ultimately —and I have this on good authority— they will one day guard the streets of Heaven.